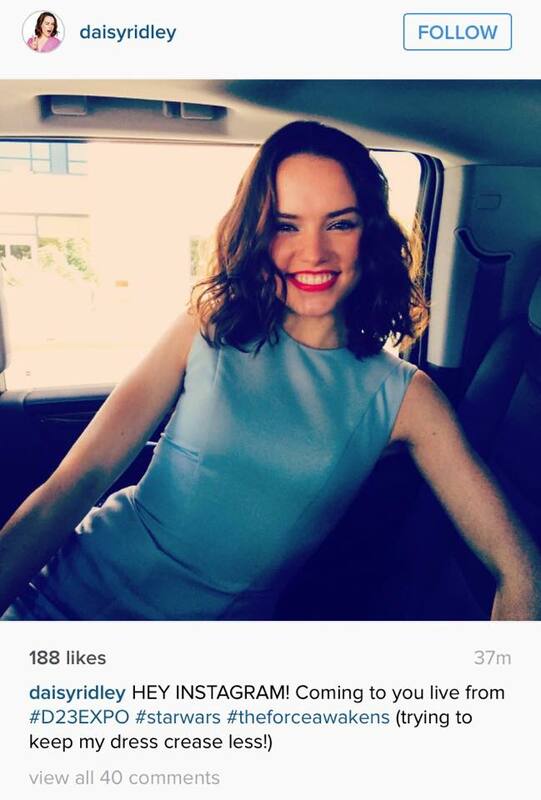 For all of you who use Instagram and follow the new cast of The Force Awakens, Daisy Ridley has joined instagram. She also confirmed that she is at D23 alongside Lupita Nyong’o (who also revealed she was at D23). Click HERE to follow Daisy on Instagram. Make sure to give Daisy a warm welcome and show your appreciation for her role as Rey!